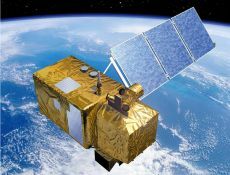 ESA optical imagery mission with launch of high-resolution multispectral optical imagery satellite. Data from Sentinel-2 will benefit services associated with, for example, land management by European and national institutes, the agricultural industry and forestry, as well as disaster control and humanitarian relief operations. Imagery for the generation of high-level operational products, such as land-cover maps, land-change detection maps and geophysical variables that use, for example, leaf area index, leaf chlorophyll content and leaf water content will be provided. Images of floods, volcanic eruptions and landslides will also be acquired by Sentinel-2.